We all hope for happy lives, homes, travels and pets and that there’s never a need to make a claim. But accidents and mishaps can happen, when you least expect it. We’re here when you need us most, so you can lodge a claim with our Claims Team 24/7. Or call our Claims Team anytime on 1300 10 1234 for more infomation about Insurance Claims. We want you to be safe. We have provided a guide to help you be prepared, if the worst occurs. It will also ensure you’re ready if you ever need to make an insurance claim later. Focus on the safety of you, your family and others first. Move away from danger, or go to a secure location if you can and need to. If anyone is injured or for serious incidents, phone 000 for emergency services within Australia. Obtain a police or fire brigade event number when it’s available. Note down relevant information about the scene and anyone involved, along with information from any witnesses. Take photos where the event occurred, including any items affected or injuries relevant to a future claim. We can arrange travel assistance, temporary accommodation, car hire, tow your vehicle and more, if it’s urgent and you’re covered. Tell us as soon as possible, after collecting details and documenting the event. That way, our Claims Management Team can help get you back to your normal life quicker. 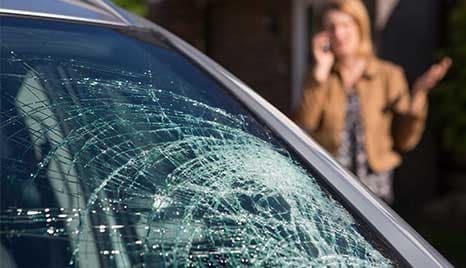 When do I share photos or the police report of an accident, to support my claim? We've made it quick and easy for you to make a claim and provide all the supporting information online. But don’t worry if you don’t have everything you need when you start. You can always get your claim underway and send anything remaining later. An expert will assess your damages, quotes or bills. If we approve your claim, we may repair or replace your property, or pay reasonable costs owing to you or others involved. Lastly, we may recover any costs from any other people at fault, so you don’t have to. Then we close your claim... and you can return to normality! If something goes wrong, it’s the last thing you want to worry about. Check your insurance cover and optional benefits. If any additional extras are not yet included in your Car, Home, Landlords, Pet or Travel Insurance policy, contact us to see if we can add these benefits today. Keep up to date with news and offers from Woolworths Insurance. Need help with you claim?